After a long day at work, the calming effect of personal green space is incomparable. Imagine a garden that contains colorful flowers, well-positioned trees, and an immaculate lawn. Isn’t it a sight to behold? For many homeowners, it is a true pleasure to have a backyard one can call their own. It can play the role of a personal Eden, host a weekend barbeque for loved ones, provide a safe space for children to play or all of the above simultaneously. 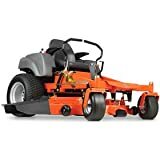 Using the best zero turn mowers you can take care of any problems in your garden, and if you run a gardening business, they should be high on your list of must-have tools. However, there is a price to pay to maintain a well-kept garden. Certain tools and equipment are required to cultivate and preserve your green lung. Without proper maintenance, your yard can easily be overrun with unsightly weeds and dreaded pests. To tackle this issue, we discuss how to upkeep your lawn with the best zero turn mower. Do You Need A Zero Turn Mower? Analyze the size of your backyard and the time it requires for regular maintenance. Large lawns in particular stand to benefit from a zero turn mower. Instead of exerting energy through manual weeding or using grass cutters, a zero turn mower is a useful device to keep your lawn trimmed with ease. Zero turn mowers are easier to operate and maneuver compared to regular grass cutters. During operation, a zero turn mower is capable of making 360 degree turns whilst trimming grass effectively. This makes it ideal for use across large, level surface areas. As zero turn mowers are usually operated with a seated driver, an adjustable seat area is important. This allows for users to manually adjust the height of the seat to their comfort level. Users are also encouraged to check the width of a cutting deck as this determines the width of the area which is being mowed. Usually, a wide cutting deck is preferred. This means that users would perform fewer mowing rounds and is able to complete the task within a shorter period of time. It is also recommended to opt for a sturdily reinforced steel frame device, as such material is durable and weather resistant. Certain attachments that assist in a garden’s upkeep is also worth considering. A mulching kit is a popular option that allows for grass clippings to be mulched back onto the lawn. Bagging the grass clippings is a convenient alternative, ensuring that users do not need to sweep the yard after mowing. It is recommended to wait until the grass has grown to a certain length before mowing. This ensures that the cutting level is optimized, thus users do not need to perform manual trimming after mowing. In terms of timing, The best zero turn mowers can produce unusually loud noises due to powerful motors. For minimal disruption, it is recommended to use the zero turn mower during late afternoons. As a polite gesture, users are also advised to alert neighbors before commencing use. It is best to keep pets and children indoors during use of the zero turn mower. For the user’s safety, it is recommended to wear protection such as dust goggles and earplugs. 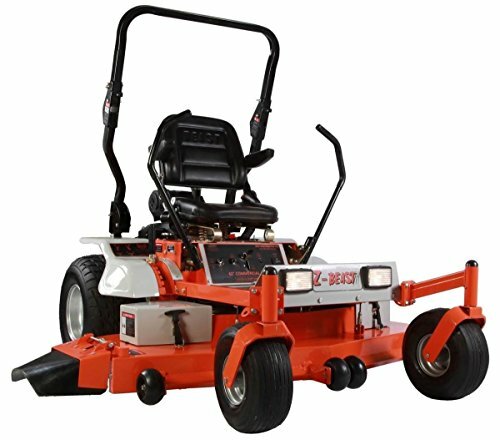 The best zero turn mowers are usually fitted with steering capabilities only. This means that it is only meant for movements forward or in reverse. There are no tractions fitted, and thus it is dangerous to use a zero turn mower on any type of incline or slope. Z-Beast 48ZB 20HP Heavy Duty 48"
Forget handheld grass cutters and flimsy gardening shears! With the Troy Bilt zero turn mower, you can now mow your lawn efficiently and effectively while comfortably seated on a sturdy reinforced steel frame and an 18 inch back seat. Fitted with a 25HP Briggs & Stratton commercial turf engine, the Troy Bilt zero turn mower is powered up to mow down any unwanted weeds in your green space. It can move forwards up to 7 miles per hour and has an electric Power Take Off (PTO) system that enables fast blade engagement upon activation. This product features a side discharge capability and a 60-inch cutting deck for large areas. There is also an integrated premium deck wash and up to 8 adjustable height settings for the user’s convenience. The Troy Bilt zero turn mower is equipped with long lasting greasable front caster wheels that are engineered to withstand wear and tear. This product features the zero-turn maneuverability, thus you can save time without having to follow up on trimming. This zero turn mower measures at 83.5 x 65 x 35.5 inches and weighs 900 pounds. Purchase of the Troy Bilt is backed up with a 3-year limited warranty. It takes effort and energy to cultivate a flourishing garden. Focus on growing and building a coveted green space, and leave the menial task of lawn mowing to the Z-Beast heavy duty zero turn mower! Equipped with a Briggs & Stratton 20HP professional series engine, the Z-Beast is well prepared to trim your lawn efficiently. 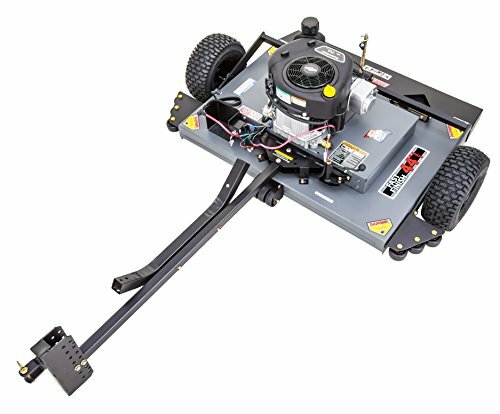 Fitted with a 48” width cut and dual hydrostatic drive system, the Z-Beast covers wide areas and provides speedy maneuvers around tricky lawn areas. Constructed with 12 gauge stamped steel and a reinforced clutch plate, the Z-Beast is a heavy duty device that is weather resistant. In terms of speed, it can easily go up to 10 miles per hour, thereby reducing cutting time. The Z-Beast also provides reliable traction with its 20 x 8 inch rear tires and 13 x 5-inch front tires. What’s more, the Z-Beast comes equipped with a seat belt and roll bar for the user’s safety. The product dimensions are 69 x 58 x 75 inches and weigh at 850 pounds. Green thumbs enjoy the process of planting and growing, but not many are particularly fond of weeding and mowing. The good news is, mowing is an easy task with the Swisher Zero Turn Mower. Not only can it maneuver 360 degrees with ease, one of the top-notch features is that it is equipped with a new rapid response control system. This allows the user to access improved control with comfort. 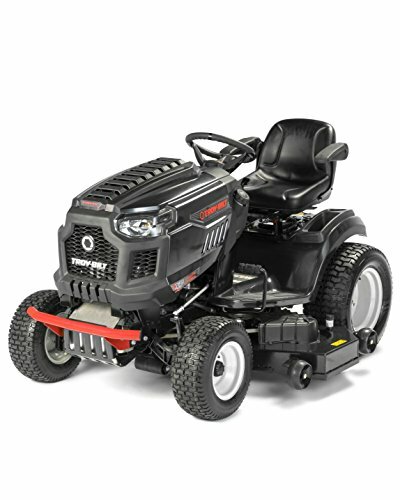 The Swisher is fitted with a powerful state of the art 24HP professional series Briggs & Stratton engine. The Hydro-Gear 2800 transmission allows even beginners to get a grip on the device without any hassle. Using the Ogura clutch, the engine can rev up to 8 miles per hour, both in forward and reverse gears. The Swisher Zero Turn Mower also features an extra wide 54 inch 11-gauge fabricated cutting deck, along with 3 Gator mulching blades. For gardeners who are keen to prevent weeds from growing, the mulching blade allows the user to perform mowing and mulching simultaneously, thus saving time! The gas-operated electric-start Swisher can contain up to 8 gallons of fuel. The Swisher measures at 79 x 63 x 45 inches and weighs 592 pounds. Very little assembly, only the tow bar, and battery install. Height adjustment simple and maxes at about 8″ after my tweaks. The tow pin assembly seemed awkward and the standard pin bent after the second run? Max height adjustment was constrained by rear metal guard hinges. While your garden is a labor of love, spare yourself from weeding laboriously. With the Husqvarna zero turn mower, you no longer have to spend hours trying to clear unwanted sprouts in your beloved green space. Equipped with the latest air induction mowing technology, the Husqvarna 46 inch zero turn mower allows for air to be drawn from the top and bottom of the deck simultaneously. 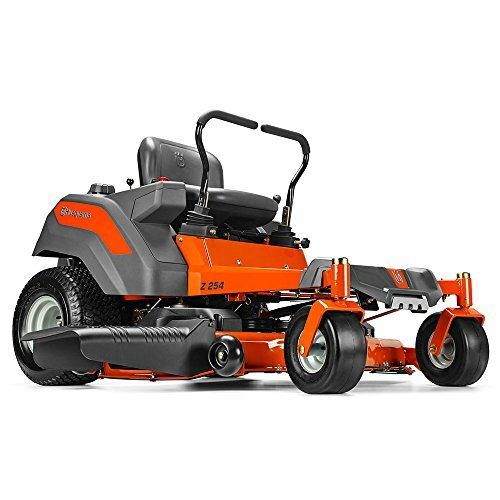 This improves grass lift and allows for the Husqvarna to deliver quality mowing results. The rugged frame is built with reinforced steel on the leading edge and trim side, ensuring that the device is durable and weather-resistant. Fitted with long-lasting casters and a reduced chassis flex, the Husqvarna is a reliable device. Engineered for a smooth performance, the Husqvarna features a 20 HP motor that requires low maintenance and is integrated with zero-turn transmissions. For ultimate convenience, the deck lift system is spring assisted and is located within reach of the user. The product measures at 75 x 55 x 42 inches and weighs 690 pounds. Uses a special air induction mowing technology for enhanced performance. Runs on a 20HP Briggs and Stratton V-twin 20HP engine. The mower has a stamped steel cutting deck which is backed by heavy flat –stock steel for better cutting and durability. Unless you have the prior technical knowledge, it is very tough to assemble it without expert help. While all 5 products have received excellent reviews, the Troy Bilt deserves the top spot. With a 60-inch cutting deck and a powerful 25HP commercial engine, the device has the ability to trim wider areas faster. The Power Take Off (PTO) system is an added plus for this premium zero turn mower. Upon its activation, the PTO system allows for fast blade engagement. For the user’s comfort and safety, the 18-inch adjustable backseat built into the sturdy frame provides stability during mowing. The added convenience of a side discharge capability further proves that the Troy Bilt deserves first ranking. I hope you like our selection of the best zero turn mowers.